Graduate Studies in Evolution of Democracies, East Asian Revolutions, Islam and German, Duke University. Admitted to practice before several United States District Courts and United States Courts of Appeals. 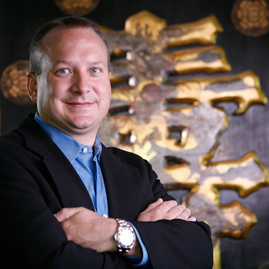 Chris Hesse is a Founding Member and Managing Partner of the Firm. He practices in the areas of labor and employment law, employment litigation, and international employment. Chris’ clients include small and large corporations, partnerships, municipalities, police and fire departments, and not-for-profit organizations. Chris advises his clients on day-to-day employment matters ranging from hiring to discipline, discharge, and compensation. He participates in his clients’ strategic business planning by designing mechanisms for statutory compliance in all areas of employment law such as federal and state wage and hour laws, Title VII, the Americans with Disabilities Act, the Family and Medical Leave Act, and immigration/work authorization. Chris encourages his clients to take proactive and preventative measures as a matter of course and corrective measures when necessary. Chris also regularly works with clients to resolve employee administrative complaints and litigation. Chris has successfully defended clients in cases based on discrimination, pay issues, safety practices, and child labor laws in over 40 states. Chris frequently participates in union election campaigns and collective bargaining negotiations. He has been particularly active in negotiating initial collective bargaining agreements between municipalities and their police and/or fire departments. Chris has a long-standing commitment to law enforcement. He is a Civilian Board Member and Chief Legal Advisor (Missouri) for the Major Case Squad and acts as General Counsel for the Missouri Police Chiefs Association. Chris is also an Instructor and Adjunct Professor at the MPCCF Command College for Law Enforcement and has extensive experience dealing with the Federal Bureau of Investigation, the United States Secret Service, United States Citizen and Immigration Services, Homeland Security, United States Attorneys’ offices and various other law enforcement agencies. Chris is also a Tactical Instructor in both armed and unarmed conflict. He is P.O.S.T. Certified in Missouri for Law Enforcement Tactical Instruction. He is also certified by the Missouri Department of Health and Human Services as a Tactical Instructor and Program Director for Paramedics, Firefighters and First Responders. Chris is a frequent trainer on topics involving discrimination, sexual harassment, wage and hour laws, employment law compliance for human resources executives, and municipal risk management on labor and employment law and other related issues. Chris has received the highest possible rating (“AV”) from Martindale-Hubbell.